Neruby offers application installation and customization services, couple with effective technical support and years of domain expertise. Neruby’s professional services team is able to deploy and customize the software as per the client’s specifications and ensure a smooth delivery and execution. At Neruby, we offer customization services to our clients to tailor their e-commerce and shopping cart software according to their particular needs. 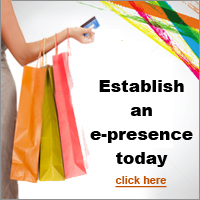 We have a vast experience in customizing all types of ecommerce stores and support components. From simple cosmetic changes to extremely complex customizations, you can rely on Neruby to do the job right well within budget and well within time. Our customization services are highly cost effective compared to other providers. In these hard economic times one has to be cost conscious - and why not - at Neruby you will find the most cost effective solutions with highest level of quality and time efficiency. If you have any customization needs, contact Neruby today!